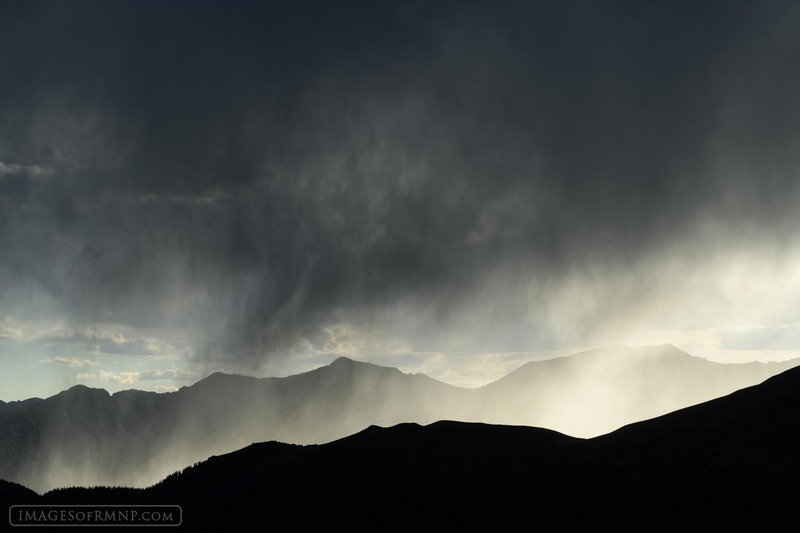 A fast moving rainstorm moves in over the Never Summer Mountains of Rocky Mountain National Park bringing much needed moisture to the area. Such storms are important for the natural world and in some ways the storms of life are an important part of our growth and life as well. Photo © copyright by Erik Stensland.